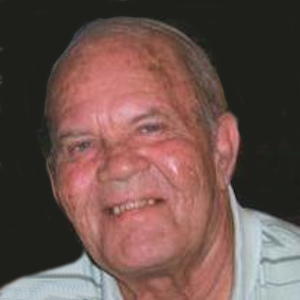 Obituary – Cross, James Vernon « Perry High School Alumni Association, Inc.
James Vernon “Jim” Cross, age 68 of Perry, Oklahoma passed from this life to be with his Savior on Sunday, April 18th at Perry Memorial Hospital. Jim was born in Keval, Kentucky on May 31, 1941 to Oval and Amy Hartung Cross. He grew up in Perry and attended Perry Public Schools later joining the Army National Guard and Reserve Army. On the 21st day of February, 1963, Jim married his best friend and love of his life, Donna Dare. His work career began in the oilfield as a roustabout. He later began employment with ODOT and was a supervisor until his retirement after 40 years of service. Jim was a member of the Morrison First United Methodist Church and he truly loved The Lord. As an avid outdoors-man, he loved hunting, camping, motorcycles, four wheelers and gardening. He was a long-time member of the Elks Lodge, serving in many different offices. He was very active in the Elks Camping Club. He loved coaching baseball when his children were young. He loved Colorado and the mountains. He delighted in feeding and watching his birds. He also carved walking sticks and canes. Jim is survived by Donna, his loving wife of 47 years: 3 sons; Todd Cross and his wife Angela, Tony Cross and his wife Tanda, and Tracy Cross and his wife Jeana, all of Perry; 1 sister, Neva Montgomery of Oklahoma City; 10 grandchildren: Samantha Sumpter and husband Stephen, Paige Cross, Leah Mistler and husband, Justin, Kara Cross, Danial Cross, Devin Cross, Dominick Cross all of Perry, Jonathan Russell of Perkins, James and Jessica Russell of Stillwater; 5 great-grandchildren: Mason Sumpter, Cilas Mistler, Dylan Russell all of Perry, Deonna Russell and KiLea Russell of Perkins. Jim was preceded in death by his parents and 2 brothers, Loren Cross and Delbert Cross. Services have been scheduled for 10:00am on Wednesday, April 21st at the First Methodist Church of Perry with Rev. Marilyn Weathers officiating. Interment will follow at Grace Hill Cemetery.